A social animal, the bee symbolizes community. 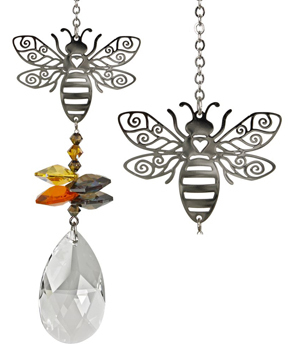 In many cultures, the bee is considered to be a messenger, carrying news to the spirit world. Not boxed, our Crystal Fantasies come ready to give with an organza gift bag.